The Naked Truth about Literature and Life: Happy Birthday to us!!!! Why NakedAuthors? I’m glad you asked. When Paul Levine first agreed to join me in the blogosphere, I asked him if he had a suggestion for a name. He shot back with “NakedAuthors.com with a team photo, of course.” I laughed because Paul is a very funny guy. You’ll see when you read his books. Then I became reflective. Not only did the name pop, it followed sterling literary precedent set by The Naked and the Dead, Naked Lunch, and that great literary masterpiece Naked Came the Manatee. The name stuck with us. We hope you’ll stick with us, too, as each day one of us posts words that are funny or profound or downright exasperating. We’re going to talk about the naked truth of literature and life, and we invite you to join the conversation. 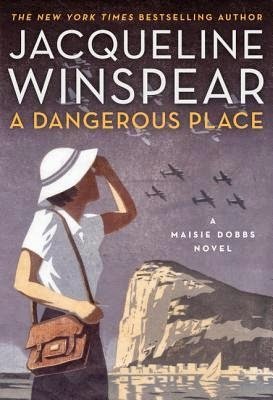 Jacqueline Winspear’s (the Brit) first novel MAISIE DOBBS, was published in 2003, and subsequently became a New York Times Notable Book 2003, a Booksense Top Ten Pick, was listed as a Top Ten mystery by Publishers Weekly and received seven award nominations, including an Edgar nomination for Best Novel. MAISIE DOBBS won Agatha, Macavity and Alex Awards. BIRDS OF A FEATHER won the Agatha Award for Best Novel. Jacqueline’s third novel, PARDONABLE LIES won the Sue Feder Award for Historical Fiction and her fourth novel MESSENGER OF TRUTH has been nominated for the Agatha Award for Best Novel. Each of the books featuring Maisie Dobbs, an ex-WWI nurse turned investigator has been a national bestseller. One of the books features a nun, another a debutante, but there are no characters from Florida. James Grippando (the guy with good hair) has never won any awards. He did win a sled in a holiday raffle when he was nine, but that was only because he lost his original losing ticket and a nun felt sorry for him and gave him another one. With thirteen novels in as many years, his closest thing to an award is a spot in the New York Times crossword puzzle: "A James Grippando novel" was the clue for #38 across. His wife says he is no longer "clueless." James' next novel, LYING WITH STRANGERS, will be released by HarperCollins in May and has already pre-sold over 230,000 copies as a main selection of Book of the Month Club, Literary Guild, and Doubleday Book Club. WHEN DARKNESS FALLS (HarperCollins, Jan. 2007) is the newest release in the acclaimed series featuring Miami lawyer Jack Swyteck, to be followed by JAZZMAN in 2008. James is also the author of LEAPHOLES for young adults. His novels are enjoyed worldwide in 23 languages. 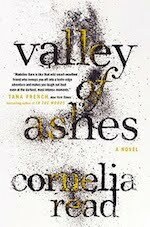 Cornelia Read’s (the Deb) debut novel A FIELD OF DARKNESS features tough-talking, shotgun toting ex-debutante Madeline Dare, whose “money is so old there’s none left.” FIELD has been nominated for an Edgar Award, an RT Bookclub Reviewer’s Choice Award, an Audie Award, and a Gumshoe Award for best first novel. 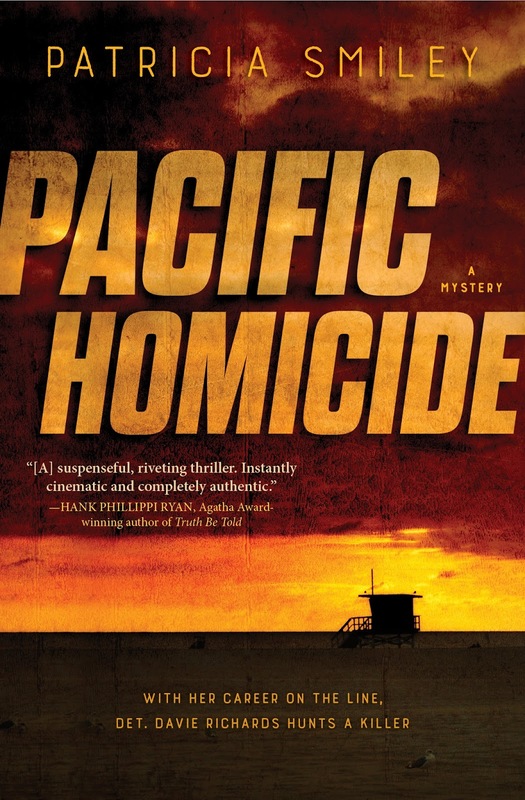 Lee Child called the book “wry, knowing, hip, intelligent, exciting.” Read just calls it WASP Noir. She has never won a sled. Nuns do feel sorry for her, though. James O. 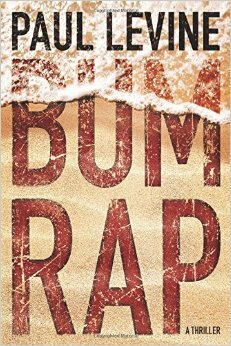 Born (the cop) is the first recipient of the Florida Book Award for best novel in popular fiction. 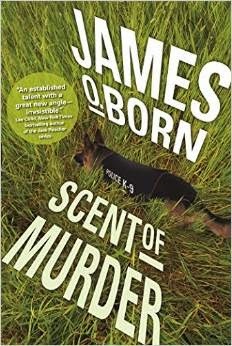 Born has used his career in law enforcement to write four novels based on his experience. Critics have praised his darkly humorous novels for the diversity of characters as well as the detail and thrills of police work. G.P. Putnam's Sons have published all four novels. If Irish and Canadian are considered separate tongues, his novels are enjoyed worldwide in three languages. Patricia Smiley (the B-school grad) earned a BA in Sociology from the University of Washington in Seattle. She also holds an MBA with honors from Pepperdine University in Malibu, California. Her debut novel FALSE PROFITS about a Porsche-driving Los Angeles management consultant was praised by Elizabeth George, “Patricia Smiley and her heroine Tucker Sinclair are two of the brightest starts to light up detective fiction in a long time.” Both FALSE PROFITS and Smiley’s follow-up novel COVER YOUR ASSETS were Los Angeles Times Bestsellers. SHORT CHANGE, the third in the series, is set for release July 3, 2007. Smiley has won many awards, sadly none for her writing. She continues to resist admonitions from everyone, including well-meaning nuns, that she shouldn’t have quit her day job as CEO of the Acme Sled Company. To Sandra Ruttan, M.G. Tarquini, Tania, Rae, J.T. Ellison, EvilE, Tribe, Louise Ure, Janine, Mark Farley, Nichelle Tramble, Andi, Martha O'Connor, Stephen Blackmore, edgy mama, Angie, H, Paige, Karen Olson, Brett Battles, Daisy, J.D. Rhoades, Susan McBride, Marianne, Kathleen, TerriMo, AZ Cooke, Anonymous, Comment Deleted, Miss Snark, Lee Child, Laura Lippman, Mark Terry, Bob Morris, Paul Guyot, Dustin, Julia Buckley, Paula Benson, Joshilyn, Naomi Hirahara, DJ, Deidra Ann(e), Steve Allan, Jan, Otis, Sharon J, George, Ellen, Robin Burcell, Elaine Flinn, Karen Murphy, David Thayer, Heidi Vornbrock Roosa, Coolshoes, Barbara, James Lincoln Warren, martig, Tom T.O., Groupie, Jeff, Mims, Barb, April, Lori Armstrong, Jeff Shelby, The Deborahs, Gillian, David Terrenoire, Patrick Shawn Bagley, Kathy Fennone, Tom, John Ritter, Jess, Alice, PJ Parrish, Linda L. Richards, Deni Dietz, Counsel, Quiet Writer, Bob, Circuit Mouse, Yvette, Liz Lytle, Sue Hammond, Lesa, fotofinish, Autumn, Rita Larkin, Katherine Howell, Cara, Jake, Billie Bloebaum, Karen Murphy, Bob "Zillabob" Eggleton, stepmomma, Leann, Nancy Martin, Evie Sears, Regina Harvey, Shaz, Robert Barnes, Pam, Jon, Carol, Susan Crosby, Chuck Z, mjoy, and everybody else I didn't mention because my fingers froze on the keys. Thank you for joining our conversation!!! I love Carol's recent comment explaining why she reads NakedAuthors so much I wanted to repeat it as a birthday present to us. P.S. Starting each morning looking at a photo of Grippando's hair is better than a jolt of coffee. Share the love by sending this post to a friend. Just click on the envelope icon below. I'm honored to be tail gunner on such a talented and dedicated crew. I also love red book covers. "Short Change" looks terrific. Great quote from Janet Evanovich, too. Just one question for Patty. Will you be doing the post on our 20th birthday? Whether I laugh, cry, roll my eyes, share wisdom, receive wisdom, learn something I never knew, share stories, read stories, puns, prose or intrepid reporting: the year I have been hanging out with you lot and all of my fellow commenters has made it worthwhile getting out of bed and turning on the computer each morning. Thank you for making my life a whole lot more interesting by welcoming me to the party. Here's raising a Dark and Stormy to you all. What a fine year it's been, and I want to thank Patty both for her magnificent birthday post and for inviting me to "get Naked" over a year ago. "Just one question for Patty. Will you be doing the post on our 20th birthday?" I will if you will, Paul. Marianne, you've been with us since the beginning and we are SO glad. I raise my glass to you. Clink! Happy Birthday to you, Cornelia!!!! Somehow it doesn't feel like I've been blogging for a year. Time flies. Jim, it feels like you've been Naked from day one. Mama Mia! I knew you were the card queen, Patty, but you have excelled yourself on this one. WOW! A birthday, and I didn't even know it! First, thank you SO much for inviting me to (as Cornelia so eloquently said) "get naked" over a year ago. It's been a blast, and - let me say this - a terrific exercise in writing each week. Paul - tail end Charlie? No, not you, my boy. If Patty is Director of Ops, you must be at least a Wing Commander. (Did the airforce use the term "tail end Charlie" for the tail-gunner over here? Just in case you wondered what I was going on about). Here's a happy birthday to our readers, our checkers-in each day - this is a terrific community. And in the spirit of the flying metaphor, it's a privilege going on this sortie with you each week - we never quite know where we'll go or where we'll end up, but it's a blast, always. Patty - oncee more - thank YOU! PS: I may not be raising any glasses anywhere today, as I managed to polish off a couple of glasses of champagne yesterday evening - heck, it was Sunday, and the sun was over the yardarm. If this were in dog years, you'd be in school this morning. Go for that third glass of champagne, Jackie. Back to work, the rest of you. Yes, we Yanks used the term "Tail-End Charlie" for the lonely tail gunner in his plexiglass bubble...I suppose stealing the term from you Brits. But it was also used here to mean the last plane in a bomber formation (and hence the most vulnerable). I therefore insist on being considered our Tail-End Paulie. Louise, I hate thinking about dog years because of that "other" birthday coming up. Yeow! Our J, don't swear off champagne until after Malice. I'll meet you in the bar to celebrate. Meanwhile, have some cake. Paulie, Paulie, Paulie...you can call yourself anything you want as long as we can call you what you are—our main man. We'll always have your back, baby. Anyway, happy birthday to you all (including James, whom I originally forgot to mention -- probably because (a) he's the guest blogger, and (b) I'm an idiot.) So, yes, I enjoy his entertaining posts as well. Not to mention that starting each morning looking at a photo of his hair is better than a jolt of coffee. Happy Birthday to all of the Nakeds. It feels as if you've barely begun. Thanks for taking the time to put these thought-provoking essays together each week, and many happy returns. Happy birthday! You are at the top of my list of blogs each day. Thanks for being so entertaining AND thought-provoking, often in the same post. Can't beat that. "If Irish and Canadian are considered separate tongues, his novels are enjoyed worldwide in three languages." Happy Birthday! I keep waiting for the naked photos of the Naked Authors. Wasn't that part of the blog deal? HAPPY BIRTHDAY to the blog.....in terms of 20 years from now...I think of the Beatles....."will you still need me,will you still feed me,when I'm 64?" Now, Paul IS 64 [that would be McCartney] and after an acrimonious split with Mills, he'll be feeding himself from here on out. So where any of us will be 20 years from now is anybody's guess....and Ms Cleo is no longer around to advise us. Here's to another year of frivolity, and perhaps glimpses of REAL truth. Happy birthday, you nekkid writers you. Thank you all. Carol that line about Grippando was hilarious. I'm going to add that to next year's birthday post. Shelby, you're too funny. Thanks to Mims, Rae, Deborah P, Debby J, Jon and Karen. You're all wonderful and that is a glimpse of REAL truth. And today is Willy Shakespeare's birthday--what grand company! From my mother's sleep I fell into the State,/And I hunched in its belly till my wet fur froze./Six miles from earth, loosed from the dream of life,/I woke to black flak and the nightmare fighters./When I died they washed me out of the turret with a hose. Isn't Buddha's birthday in April, too? Tom, the poem gave me chills. How DO you keep all of this stuff in your head? Your mind is like a lending library. Personally, I'm at an age where I no longer even recognize birthdays. James: I couldn't have said it better (whatever it was). Have fun in NYC!!! Happy Birthday all you Naked Authors, and many, many thanks for enriching my reading life and providing smiles, insight, tears and laughter each morning (or afternoon, as the case may be) as I ease into my day by seeing what the Naked Ones have to offer! Thank you Janine. We treasure your pithy comments and loyal support. Cheers to you! Buddha's birthday in April? Yes it is, someplace, but I always get confused--I was some of my co-workersa Happy Buddha's B-Day, and invariably discover I did it at the wrong time. I think in Japan it was April 8, but I don't know if that is set or variable. In China, I'm pretty sure, it is based on their lunar calendar, and it's something like the 8th day of the 4th month (I'm pretty sure), which (when was the Chinese New Year--January, middle or late? ), which would push it to the beginning of May--first week or two? Someone told me India celebrates it for an entire month, I think April, but I'd have to use a lifeline to give a final answer. A Few Good Nuns. Hmmm. Sounds like a major motion picture coming soon to a theater near you. It's okay to touch a nun, just don't get in the habit. Belated Happy Returns from over here. Not sure what I'd do with my lunch breaks if you ever stopped! Robert, keep checking in. We won't stop until our fingers get too arthritic to type.